Welcome to October at City View! 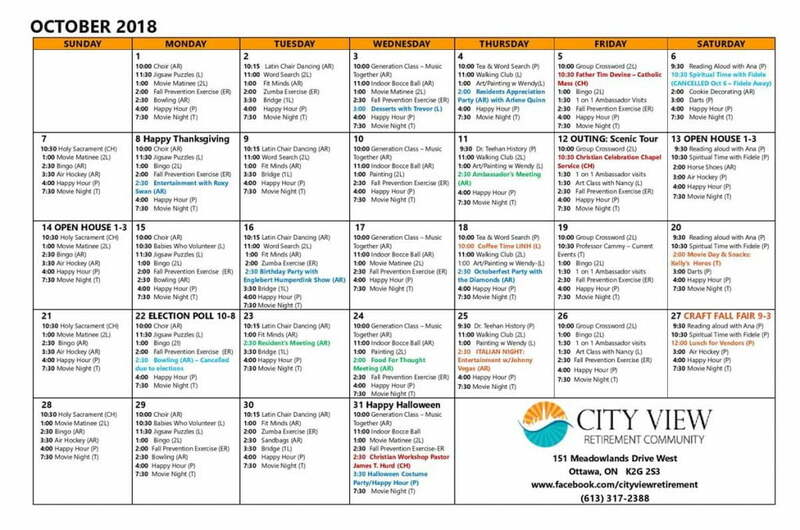 In addition to our daily movies, exercise and activities, October has a great mix of community events – a Fall Craft Fair with wonderful handmade items for sale on the 27th, Italian night on the 25th featuring Johnny Vegas and a scenic tour on the 12th. Come and join your friends at City View!